Gheorghe Costinescu is a composer of vocal, instrumental and electronic music. 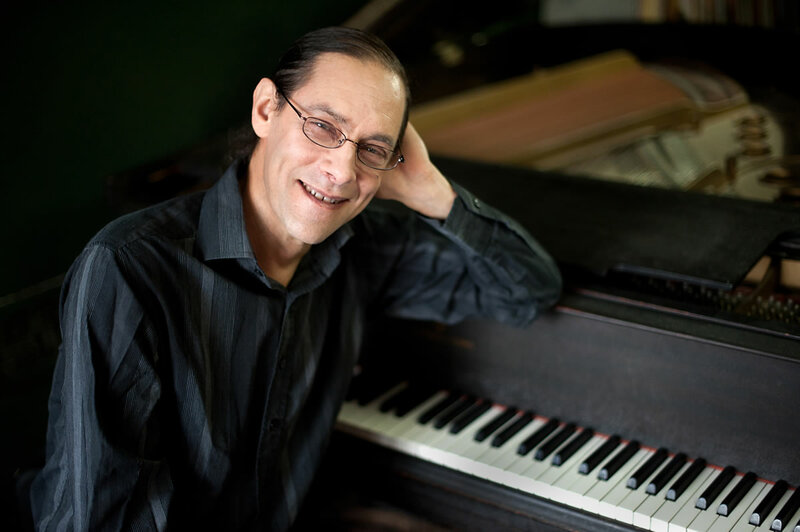 Born in Romania, he studied at the Columbia-Princeton Electronic Music Center between 1970 and 1976, while completing his PhD in composition at Columbia University. An expert in the science of how the human voice produces sound, he is Professor Emeritus at Lehman College of The City University of New York, where he founded an electronic music studio. This text is based on an email correspondence with Gheorghe Costinescu on 29–30 November 2006. Originally published at the EMF Institute in 2006. I was born in Bucharest, Romania in 1934 and I came to the United States in 1969 to study with Luciano Berio at The Juilliard School. After that, I studied with Chou Wen-Chung at Columbia University, where I completed my PhD in composition. While at Columbia, I studied electronic music at the Columbia-Princeton Electronic Music Center between 1970–72, mainly with Mario Davidosky. We concentrated on the detailed shaping of sounds and their integration in gradually elaborate textures and structures. 1[1. See Bob Gluck’s interview with Argentine-American composer Mario Davidovsky, “Generation One at the Columbia-Princeton Electronic Music Center,” in eContact! 15.4 for more on Davidovsky’s influence on the 1960s and 1970s generations of electronic music composers.] This wasn’t my first experience with electronic music. I had previously and briefly participated in a workshop at the Westdeutscher Rundfunk (WDR) Electronic Music Studio in Cologne, in 1968, and in a concert given by Karlheinz Stockhausen and his group of musicians. My interest in electronic music developed through my research about phonetics and my composing for the voice. I had written a Treatise on Musical Phonology. I increasingly realized that our natural sound-producing system works similarly to an analogue integrated electronic studio. My work Past Are the Years (the initial French title was Comme de longs nuages…) for tenor and vocal ensemble, premiered by the Juilliard Chorus in Lincoln Center in 1970, was composed concomitantly with my writing the Treatise. Past Are the Years seems to apply an almost electronic music approach to vocal music. In fact, it was the other way around: it was this work that brought me from phonetics and extended vocal techniques to electronic music. Being in New York at the time, the Columbia-Princeton studio was for me the best choice to learn more. For me, the connection between the human voice and electronic music was about the systematic use of phonetics in vocal music and the modularity and the signal flow of analogue synthesizers. To be more explicit, I start by comparing — on one hand — the diaphragm muscle that activates the lungs to produce the air flow that makes the vocal cords vibrate and produce a rather colourless, weak initial sound, with — on the other hand — the electrical source that sends the necessary voltage to an oscillator that produces an initial unprocessed audio signal. What happens to the initial vocal sound in the upper structures of the oral and nasal cavities (with the various articulators and hard and soft surfaces of the first, and the obvious filtering function of the second) is very similar with the processing of the initial audio signal through various filters, envelope generators, echo chambers, triggers, etc. I even taught people how to produce a kind of ring-modulated multiphonic sound, by simultaneously using normal and falsetto emissions. Certain vocal triads can create a sound that is almost like frequency modulation. The production of prolonged whispered vowels can be compared to — and sounds very much like — applying a band filter to a white noise signal, with the most open whispered vowel “a” having the widest band. Having a vocal group with each performer emitting another whispered vowel can cover the entire white noise range. One of my memories of Columbia-Princeton is of my fellow student, Art Krieger, whose first 4-track electronic composition I admired. Another memory, and one of the best, is of the day when I almost spontaneously created an electronic cricket sound. This happened shortly after returning from a stay at the MacDowell Colony in New Hampshire, where the crickets could be heard all over during the summer nights. It took me a while to find out how I obtained the sound. After that, I could multiply that single cricket into thousands, to make the electronic tape used at the end of my stage work The Musical Seminar. This section of the work is called “The Crickets of New England.” The work was premiered by the Juilliard Ensemble in the New and Newer Music Festival at Lincoln Center in 1971. The final version of the work was performed in 1982 at the Tanglewood Festival and later, also at the Royal Scottish Academy of Music and Drama in Glasgow and, in a German translation, at the State Opera of Stuttgart. I also composed a purely electronic work Invention 5B at the Columbia-Princeton studio in 1976. It was premiered in the following year in the Festival of Electronic Music at Columbia University. After 1976, my projects shifted from Columbia-Princeton to the studios at Kingsborough College, which I took over that year, and to Lehman College of The City University of New York, which I designed and developed. One of my first projects was to complete the 4-track electronic tape for the “dice-dancers” section of my stage work The Musical Seminar, the dancers following various trajectories, each one using another step pattern and speed of pulsation. The so-called drum machines on the market at the time could only provide different simultaneous metronomes based on a common denominator. I had to achieve everything “manually” because the four different metronomes in my piece were completely independent, while being intermittently interrupted by synchronized pulsations and having to resume as independent pulsations each time at a proportionally higher speed. Fortunately for me, the quartz metronome had just been introduced; unlike the preceding models, this one started pulsating exactly when its button was pushed. That saved my project. I came to teach at Lehman College in 1982, when the programme within which I taught, the Local 802 Program, was transferred there from Kingsborough Community College. Its name came, I believe, from the music union, Local 802, which had many of the students as members. At Lehman, I taught electronic music as part of a seminar that included theory and composition, analysis, orchestration, score reading and conducting. I redesigned the rather limited Kingsborough College electronic studio, which included a Moog synthesizer, expanding it to a level that was adequate for more elaborate electronic music projects. The funding obtained through the Music Department and the Dean’s office was of great help. Over the years, I continued to work with electronic music largely in collective projects, often involving my students. Since my retirement in 2003, I have the very good feeling that my successor, composer Tim Polashek, brings the knowledge, skills and dedication needed to bring the studio forward. He has already completed the transition from analogue to digital technology. The electronic music experience was invaluable for me as a composer, performer and musical thinker. It enlarged my perspective on the nature of sound, on the extended means of musical expression, and on what can and cannot be done in music at a given time. For example, my work Jubilus (1981, rev. 1984) for soprano, trumpet and percussive body sounds, commissioned and presented by the National Public Radio, uses extended vocal and instrumental techniques that relate sometimes to my electronic music experience. Bob Gluck is a composer, pianist, historical writer and educator. His music spans jazz performance, free improvisation and avant-garde concert music. Gluck is Associate Professor of Music at The University at Albany, where he directs the Electronic Music Studio. He has released three recordings of electroacoustic music (EMF Media), three with a jazz trio (FMR Records) and two acoustic / electronic collections of duets bridging those disciplines (Ictus Records), and in 2012 published You’ll Know When You Get There: Herbie Hancock and the Mwandishi Band (University of Chicago Press). His essays have been published in Leonardo Music Journal, Organised Sound, Computer Music Journal, Journal SEAMUS, Leonardo, Living Music Journal, Ideas Sónicas, Tav+ and at the EMF Institute. His newest book, The Miles Davis Lost Quintet and Other Revolutionary Ensembles, will be published in 2016 (Chicago University Press). eContact! 16.4 — Experimental Practices and Subversion in Sound (March / mars 2015). Montréal: Communauté électroacoustique canadienne / Canadian Electroacoustic Community.